The Lutheran Schools of Ohio are a group of schools across the states of Ohio and Kentucky. There are two high schools, twenty-two elementary schools and forty-six early childhood centers. 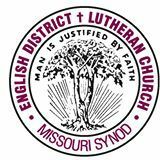 The Lutheran Church Missouri Synod Districts is represented by 67 schools, across three LCMS districts in the Lutheran Schools of Ohio. The Evangelical Lutheran Church of America (ELCA) is also represented by three Elementary schools in the Lutheran Schools of Ohio. 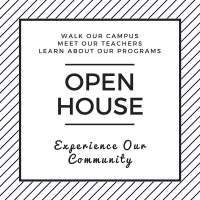 The Ohio District-LCMS is represented by 2 High Schools, 17 Elementary Schools and 39 Early Childhood Centers in the Lutheran Schools of Ohio. For more information about The Ohio District-LCMS, please visit their website by clicking here . The English District - LCMS is represented by 1 Elementary School and 3 Early Childhood Centers within the Lutheran Schools of Ohio. For more information about the English District, please visit their website by clicking here . The Slovak District - LCMS is represented by 2 Early Childhood Centers within the Lutheran Schools of Ohio. For more information about the Slovak District, please visit their website by clicking here. The Evangelical Lutheran Church of America (ELCA) is represented by 3 Elementary Schools within the Lutheran Schools of Ohio. For more information about the ELCA, please visit their website by clicking here.